This week, The Long Dark developer Hinterland learned a tough lesson: If you’re going to put a weeks-long countdown clock on your game’s homepage, it should be counting down to something amazing—not another countdown. A little over 20 days ago, wilderness survival sim The Long Dark started a mysterious countdown on its home page. For weeks, fans were abuzz over what would appear when it reached zero. The game’s long-anticipated story mode? The promised sandbox update? When the countdown ended at 1 Eastern time on May 4, the answer turned out to be nothing but another countdown. The fans, as you might imagine, are not thrilled. 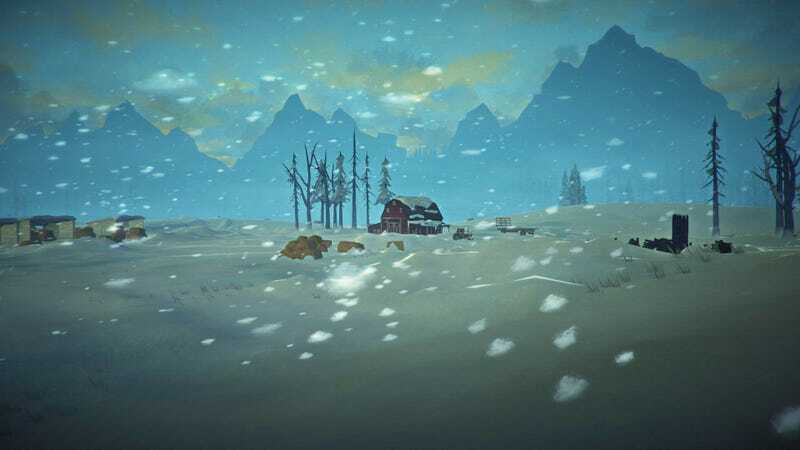 I know that the PS4 announcement might not seem important if you’re already playing THE LONG DARK on Steam or Xbox One, but I hope you can see how for us, it’s a really monumental step in expanding the reach of this world’s fiction and gameplay foundation we’re building, so that we can continue to build THE LONG DARK into the experience we dream for it to be. That brings me to the recent countdown we launched at www.thelongdark.com. I know that in some corners of our community, this countdown timer was not a popular thing. Some people felt that it was insulting to be given a “timer for a timer”. I can see this and I’m sorry that it created frustration for some of you. This was certainly not our intention. It’s hard to remember, sometimes, that our whole approach to Story Mode development — and the reason why we’ve said so little about it to date — is about building anticipation. It’s also easy to forget that most of our community is waiting to come back to the game — waiting to wake up and feel excited about it again. And the PlayStation community hasn’t had a chance to feel a sense of excitement or ownership for THE LONG DARK yet. As a small studio handling all our own marketing, we need to use the tools we have to get people excited about the game, and often these people are not the ones who are scouring our social media posts every day. Players who had been with the game for a long time weren’t satisfied with this explanation. The Long Dark subreddit lit up with the angry reactions of players feeling disappointed, misled, or abandoned by a studio that seemed more concerned with attracting new players on new platforms. Players encouraged each other to change their Steam reviews from positive to negative to draw attention to the situation. While the new negative reviews changed the game’s ‘recent reviews’ status from ‘very positive’ to ‘mostly positive,’ The Long Dark retains its overall ‘very positive’ status. Click the image to expand if you haven’t gotten your daily recommended salt. Not everyone is angry. Other players sent positive messages to Hinterland on Twitter or posted about their excitement on the subreddit. Hinterland has been transparent about its process and generally very communicative with players, so many were willing to forgive this lackluster reveal. I’m really sorry to hear so many of you are disappointed about the info and content we released today. The countdown — that was my idea. I only had the best of intentions in trying to build up some excitement around our new trailer, the next update (coming to test branch later this month), and offering a solid release date for Story Mode, as I promised I would. I can see now that it didn’t have the desired effect — building up a sense of community excitement around what’s just around the corner, and also being able to invite a whole new group of players, which we’re really excited about. Not because we don’t like our existing players. Just because...a bigger family is more fun. I can see that we’ve lost some community good will, which goes against every intention we’ve had over the past years. I’ll do everything I can to earn it back. If I could go back and do this again, I wouldn’t use the countdown to try to build anticipation for the release date announcement, the new trailer, and the news about what’s in the next update (coming to the Test Branch in a few weeks). Please remember that the community team at Hinterland works under my guidance, so if you are angry and want to vent, please feel free to direct it at me, and not at them. It’s easy to see how some fans feel burned, especially those who have been with the game from the beginning. Personally, I’ve barely seen all The Long Dark has to offer and am in no hurry for more content or story mode, but hardier survivors than me have long since run out of things to do.